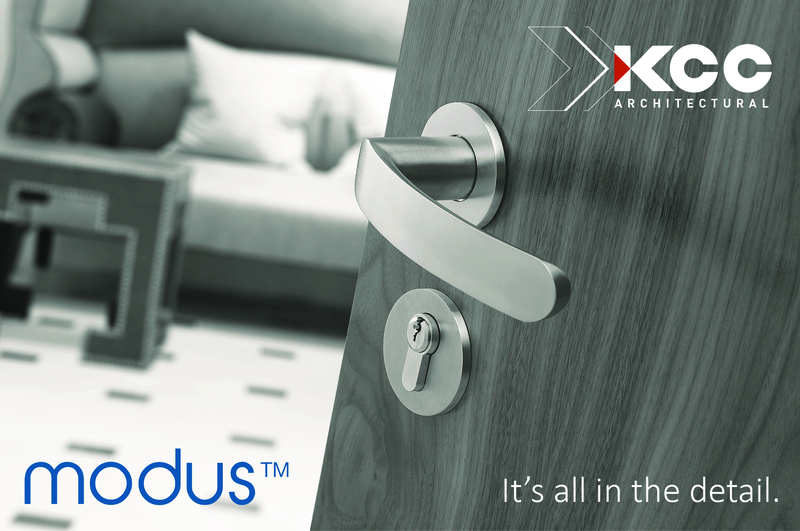 We are very excited to be launching our brand new modus™ range of door hardware – Our sleek and modern new range was developed to allow designers to choose from a range of designs, finishes and textures in order to create visually distinct pieces of door furniture. All modus™ items are extremely hard-wearing and durable whilst conforming to the most demanding standards of the modern built environment. With all the elements tested together, you can enjoy the peace of mind that comes with a 25 year mechanical guarantee, along with the freedom to create the designs that truly express the spirit of the projects you are undertaking. The quality of the modus™ range is evident in its look and whether your project is a light, modern office development, or a chic waterside residential conversion, there is a modus™ combination of lever furniture and finish to suit. modus™ is manufactured in the UK from the highest quality materials including solid T316 stainless steel and our range of finishes offers endless possibilities from bronze and copper through to more contemporary colours such as electric blue. We are extremely proud of the level of attention to detail that goes into every stage of manufacture, finishing, testing and certification for the modus™ range. This has allowed us to develop a product range that not only looks good, but has the precision feel that gives confidence in the product’s long term durability and peace of mind in its reliability. KCC Architectural launch a new range of sleek and modern door hardware with the ability to select or create your own style, finish and texture to create the look you want.